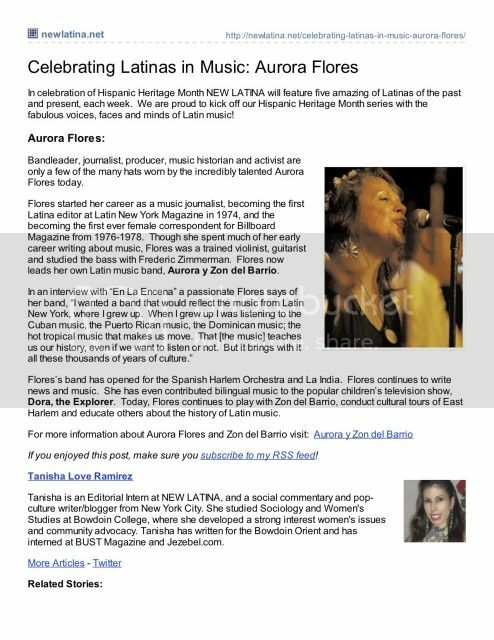 I was on my way to interview Tito Puente, the King of Latin Music, and my first major assignment as a writer. I was excited, elated to have been picked for this project, and nervous, very nervous. Absentmindedly, I bit the last of what remained of my right thumbnail thinking of the many questions I had researched over the past few days as the #1 train pulled into my station. It was hard to see the stop from inside the bubble-art, graffiti-covered car, “Taki 183” tagged all over the windows. I already knew to get off three local stops after Seventy-Second Street. Climbing the stairs at the Fiftieth Street exit, I pulled the yellow piece of paper from my pocket: RMM Management, 1650 Broadway and Fifty-First. "But this new combination of young Latinos playing with the iconic Yomo Toro was different. It spoon-fed us abuelita's words of wisdom while filling us with the joy of simple pleasures that some of us in New York only heard through the twang of Yomo Toro's cuatro singing through Hector's words. Yomo made them famous." Music from the Streets of Latin N.Y. Streets of Latin N.Y.
Click here to read the article re: the tribute we did for Yomo Toro on his street naming ceremony in the Bronx: Yomo Toro Place. A l'est de Harlem, c'est encore Harlem, mais à la sauce hispanique. Un quartier qui abrite la plus grande communauté de la diaspora caribéenne, essentiellement portoricaine. « Le barrio, c'est Salsa Nation ! clame la pétulante chanteuse Aurora Flores. On oublie souvent que c'est ici que se sont mélangés, dans les années 70, les ingrédients de cette musique de l'exil, germée dans la pauvreté et qui célèbre la vie. » Cette ancienne journaliste, qui a « grandi en écoutant Tito Puente, Janis Joplin et Santana », est l'une des rares femmes leaders d'un orchestre de salsa. Bomba, plena, boogaloo, salsa dura… Avec le survolté Zon del Barrio, groupe mixte et multigénérationnel, elle veut, à son tour, « transmettre cet héritage à la jeune génération ». DAY ONE: The Commercial for Prudential. Take a Look. 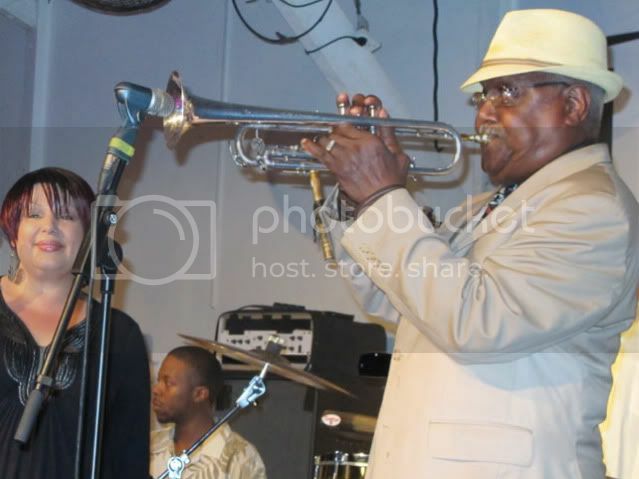 The legendary Afro-Cuban trumpeter Alfredo "Chocolate" Armenteros as guest artist to Zon del Barrio playing a concert at LaKasa in Guadeloupe, an island in the French Caribbean... Maryann Santiago & Oreste Abrantes look on. Go on the link & click on the black frame below for a short video on the concert. As the second speaker at this Diversity Conference, I gave a brief overview on the streets of Spanish Harlem & its rich history that dates back to the 1890s in New York City stretching back throughout the Great Antilles & Spain (Iberia).